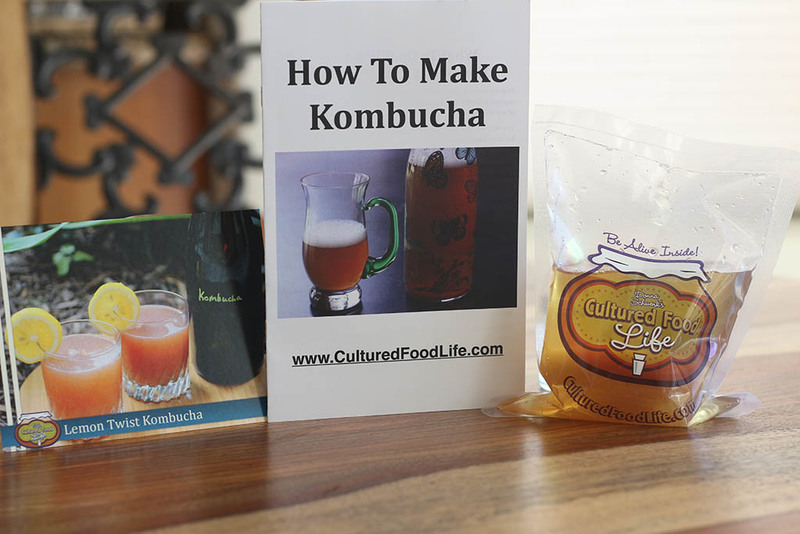 It's Not the SCOBY That Makes KombuchaDid Kombucha Heal My Husband's Eyes? It’s January and it’s cold here in the Midwest. All I want is hot tea and soup. 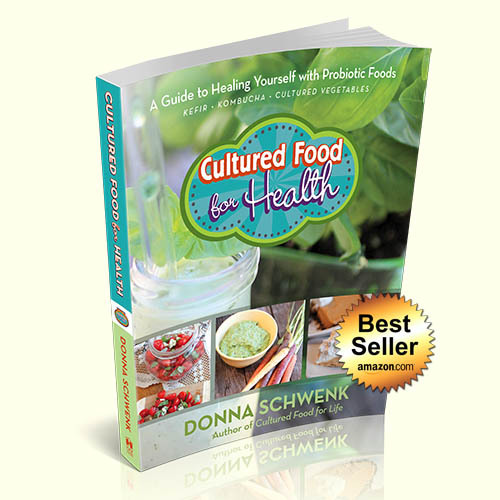 It’s hard for me to want a cold smoothie when I am craving warmth and comfort, but high heat kills the probiotics in my cultured foods. 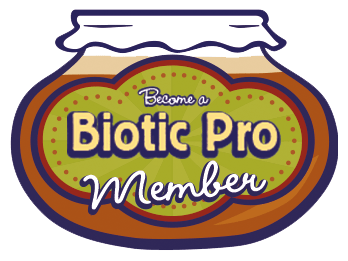 Well, not all is lost because I have found a probiotic soup that is so easy to make that I’ve been having it almost every day and loving every drop of it. Miso soup is made with fermented miso and is a staple in the Japanese diet. They often have it for breakfast and also at other meals of the day. Seeing that the Japanese are some of the healthiest people on the earth, I often wondered what they eat on a regular basis. It seems that they eat a lot of fermented foods and miso soup is just one of them. 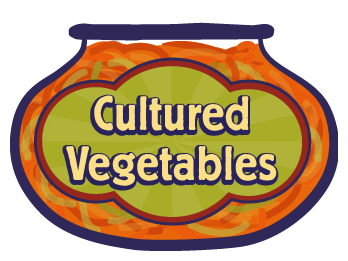 They also eat fermented tofu, natto, and fermented veggies and fruits like pickles and apricots. No wonder they’re so healthy! 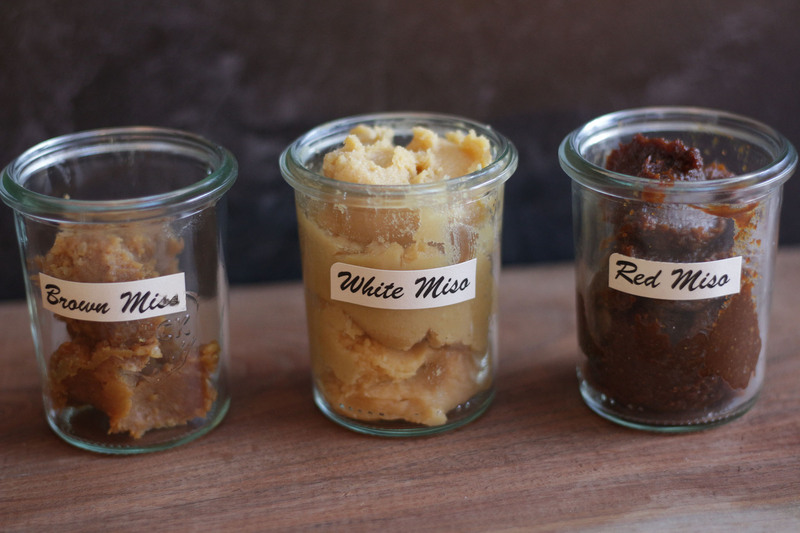 Miso paste is created from a combination of soybeans, sea salt, and rice koji. 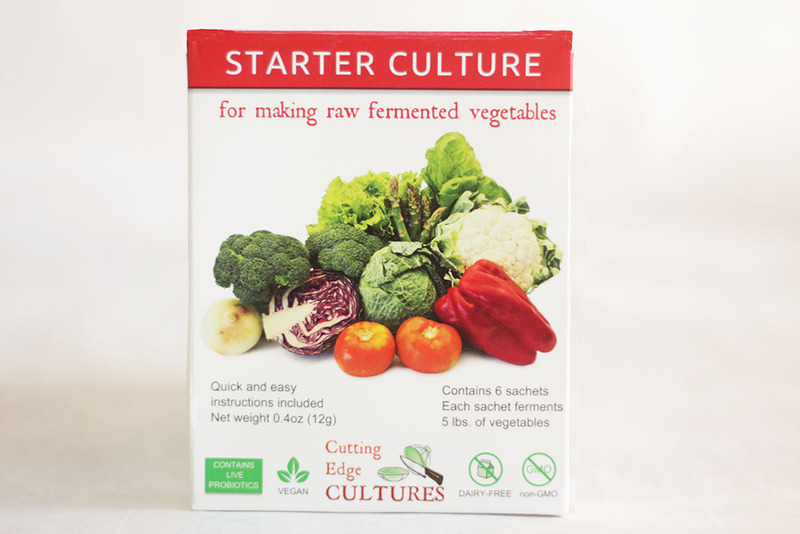 This combination is fermented and creates lactobacillus, a good bacteria. Fermented miso is effective in detoxifying and eliminating industrial pollution, radioactivity, and artificial chemicals from your body. It has been used for centuries in Asian cultures and it provides beneficial B vitamins (especially B12) and loads of probiotics. I will make miso soup for a quick snack for my daughter when she’s hungry and wants something between lunch and dinner. I received small Japanese bowls for Christmas and Holli loves to hold them in her hands and sip the soup without a spoon. I get a kick out of watching her enjoy it. It is super simple to make and consists of only two ingredients (although you can add more if you like) and the only thing you need to remember is to not heat the water above 115 degrees. 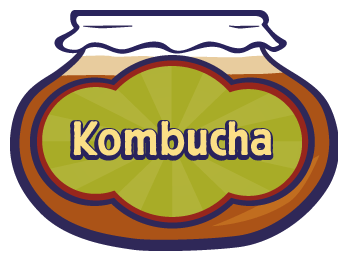 The lower temperature will preserve all the probiotics and keep them from being destroyed by high heat. You just add a spoonful of miso paste to your water, stir, and you have miso soup! There are many different types of miso paste (including white, yellow, and red) and even some made with chickpeas if you’re allergic to soy. I recommend organic as some commercial brands may have GMOs and we don’t want that! Miso paste lasts forever in your fridge as it is fermented and this preserves it so it never goes to waste. I think you will love it and so will your family. Maybe it will make the winter seem a little less cold. You can buy organic miso paste at health food stores or Asian markets and then you will always have a cultured food in your fridge ready at any moment for a quick meal. 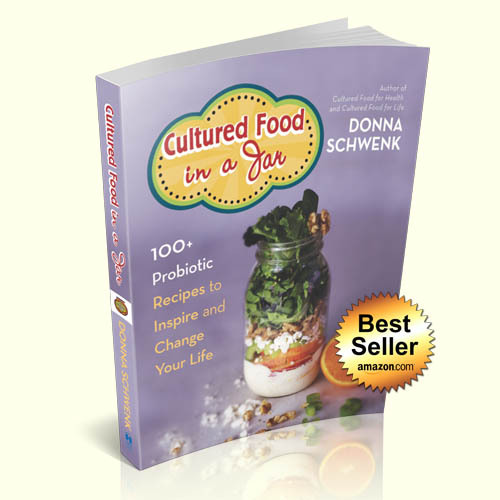 I’m trying to make it easy for all of us to incorporate cultured foods into our lives and enjoy them too! I love miso soup! It’s comfort food that loves you back. If you add green onions to your miso soup you are adding a prebiotic (food for bacteria). This makes the good bacteria in your gut grow and multiply like crazy. Add your choice of optional ingredients to water. Let it sit while you make the slurry. In a small bowl, mix the miso paste with 1 to 2 tablespoons of slightly warm water to make a slurry. Once the soup has cooled to about 115°F, add the miso slurry and stir. The soup must be cooled to preserve the probiotics. If you add green onions and veggies to your miso soup you are adding a prebiotic (which is food for bacteria). This makes the good bacteria inside you grow and multiply like crazy. 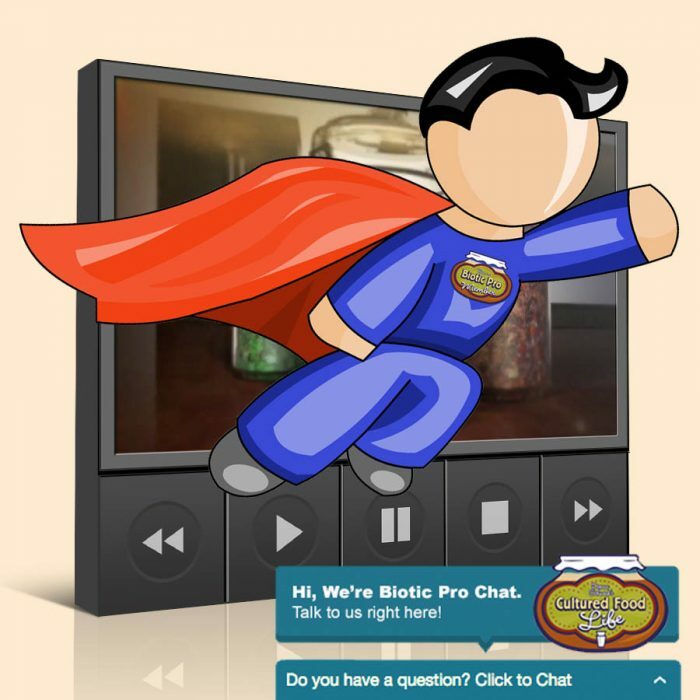 53 Responses to "My New Love – Probiotic Soup!" makes me really bloated, does it mean I’m intolerant to soy? so you can add the miso to water that has been warmed but at less than 115 degrees correct? I wonder why the restaurants serve it so piping hot? Yes, this is correct. The serve it this way because they don’t realize how beneficial the probiotic are. 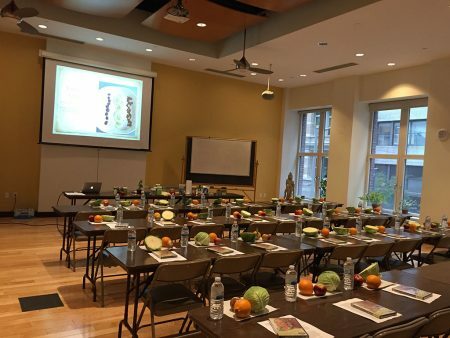 Is organic guaranteed it will be GMO free? Where can I buy this miso paste? I love miso soup, dressing and sauces. Boiling water kills the bacteria, so the heat needs to be just so. Thank you for all goodness! 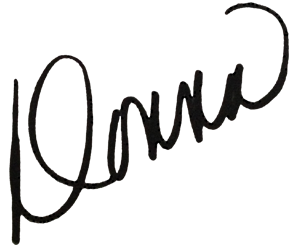 Hi Donna – is the temperature in Fahrenheit or Centigrade please ….? I am used to Centigrade so wasn’t sure which you meant ! 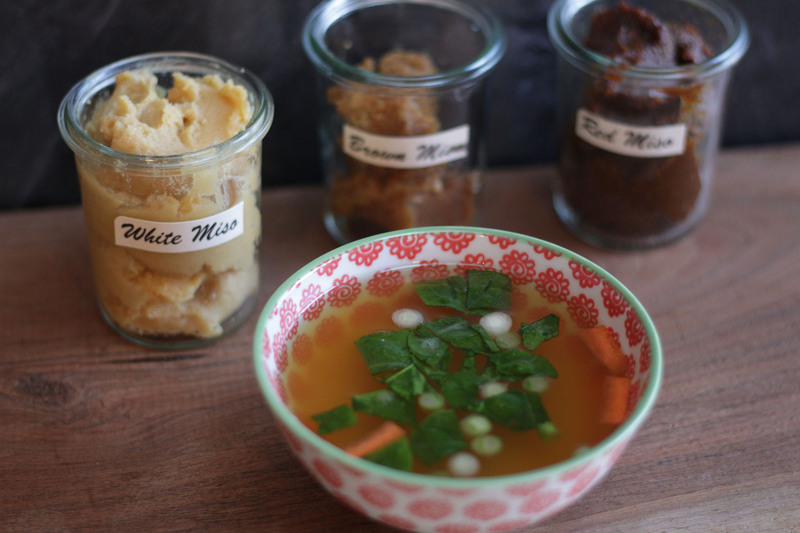 Just as I read your recipe for miso soup, I hear my fermented veggies’ lids popping in fridge. A little humor for a cold Sat. a.m.! 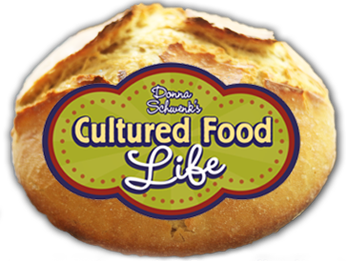 I know that your site is about cultured foods mainly but I wonder whether you cook your own meat stocks or broths and if so do you think it is ok to use a pressure cooker ? what about the nutrients will they survive as well as in a normal saucepan or would be better to cook with a slow cooker? I do cook my own broths and usually just do it on the stove top but have done it in the oven as well. A pressure cooker would work too. 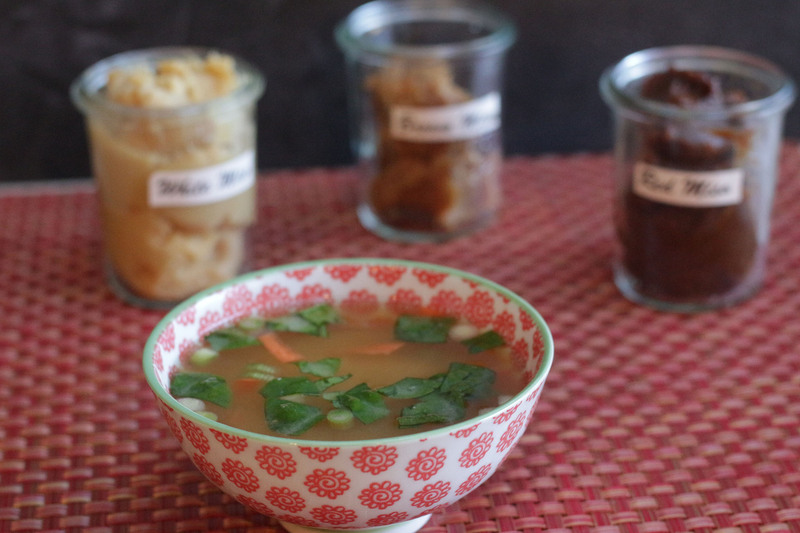 I love Miso and often use it as a culture starter in my veggie ferments. It makes the BEST Fermented Salsa! What’s the ratio of vegetables to miso that you use? Or could you share a recipe? Recently had dental surgery and dental surgeon recommended soups for 2 months. Your timing has been impeccable. 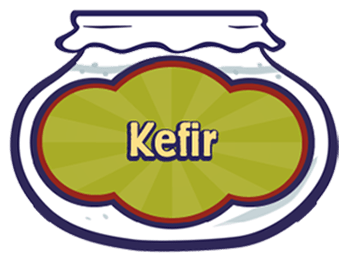 Have found a whole new way of eating by using meat stocks as base and adding normal dinner fare plus fermented veggies and kefir cheese. The 115F temperature works fine and the tastes are incredible. Fermented shredded beets and kimchi add out of this world flavors plus beautiful colors to the soups. Thank you for introducing a whole new concept in “fine dining”. I use miso in place of salt in most any recipe that isn’t heated above 115 degrees for added flavor and probiotics! Great idea! Why have I never thought of it?! Thank you! That is indeed a great idea. Thanks Charzie. Is it normal for the miso paste to be very salty? I’ve tried Eden Foods Organic Miso Genmai, and it does have a lot of sodium. I added hot water and it does taste good, but it’s quite salty. Any thoughts? Thanks. 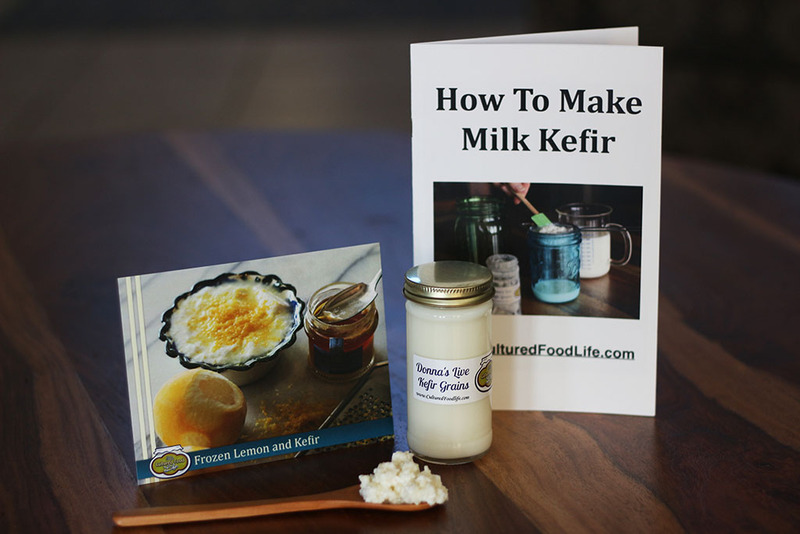 I just made soup using kefir whey and miso. Mmm! So delicious! Could I add a little chickpea miso to my homemade hummus and make the hummus a probiotic food? Yes you can! Great idea. Yet another probiotic food source, yay. Thanks Melanie. I saw your recipe this morning and went out to Hy-Vee at 40 Hwy and Noland and they had the red and white miso both in a refrigerated case in the health market section so I bought the red along with some organic green onions and had that for lunch! It was delicious! Thank you for sharing. I’ve never had miso before. Have you tried looking in an Asian supermarket? Good with the Miso, and this variety is really good. Not on board with the added Tofu. •Pickled tofu, which is also sometimes called tofu cheese. 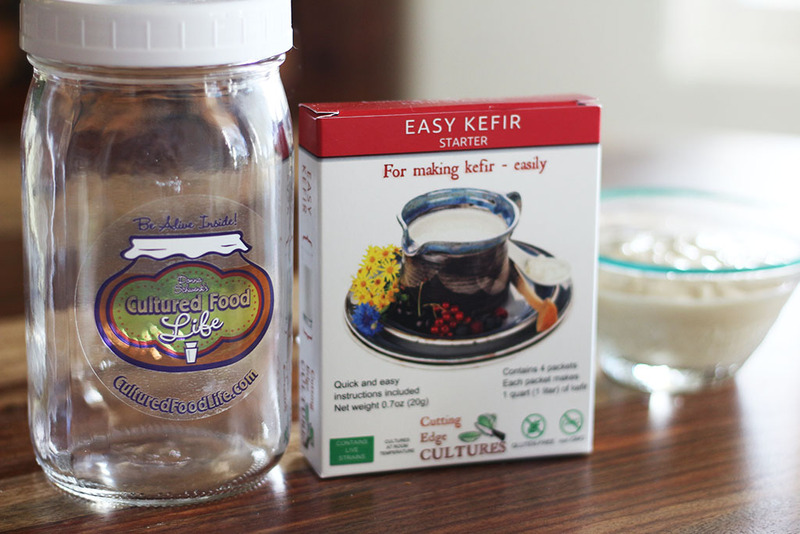 You may be less likely to find this fermented soy product in grocery stores but look for it at Asian foods market or a large-scale natural foods groceries. Most of the tofu available in supermarkets has been coagulated into its thickened, moist, cake-like form, but it has not been fermented. Pickled tofu is an exception, and it’s been fermented and aged like an aged cheese. 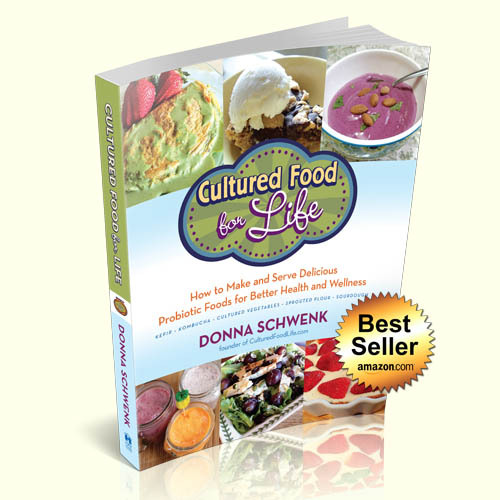 Like other fermented soy products, it makes a great addition to soups. south river miso, has excellent miso, made the old fashioned way, all kinds of variety’s. I order once a year enough for the whole year. Even good as a spread in a healthy veggie sandwich, etc they also have a recipe book. Dashi is not msg. You can buy packages of dashi seasoning which may contain msg, but dashi is not msg. Homemade dashi is fantastic. Another good soup: Cube a potato and boil chunks in water to cover until cooked through. Pour potato and water into a blender. Add 1 T miso and coarsely chopped raw onion, maybe 1/4 c, into a blender. Optional: 1T olive oil. Whirl till smooth. Serves 1. Eat it while it’s still hot. I lived in Japan for 4 years during my teens (13-17) and my Japanese friends would drink Miso for breakfast. Thought it weird at the time but didn’t realize until later how healthy it is. Also big rice ball with Seaweed, my first bite was YUCK!!! So I just ate the rice. HOWEVER!!! 3 weeks later I got a very INTENSE craving for seaweed so quickly went to Tachikawa City about my some nigiri and I’ve been hooked ever since. How about making Miso with Chicken stock. Good too that way along with Bonita flakes. YUM!!!!!! Bonita flakes are made from fish, fish flakes, in most miso soup recipes. 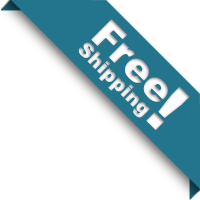 Find it in some markets in Asian section, Asian stores and maybe Amazon. Dont have to use it however. Sorry for late response!! HI Donna, I wanted to mention that the miso should not be allowed to boil otherwise I believe it destroys the health benefits does it not? I just use water that has been boiled and live hatcho miso (I could eat it with a spoon) that is 3 or more years old. I love the addition of scallions and tofu too. ere is my recipe for oat milk. Cook oatmeal (about 2 cups) and place it in a large mixing bowl. Let is cool somewhat; then while it is still rather warm stir in well about 2 tablespoons of live miso. Cover the bowl and let it sit overnight. The miso breaks down the oatmeal and you just need to strain off the solids and you are left with a delicious, nutritious “milk”. Refrigerate add optional sweetener. Yum! Nice alternative to soy milk. Yes, placing it in anything above 115 degrees begins to kill the probiotics. Thanks for the oat water recipe. How much water was used please? And do you use the soaked oats then for baking or anything? Thanks. I’ve used miso for a lot of fermenting – including oat milk. It’s delicious! I add miso to nut butters and make salad dressings with it. 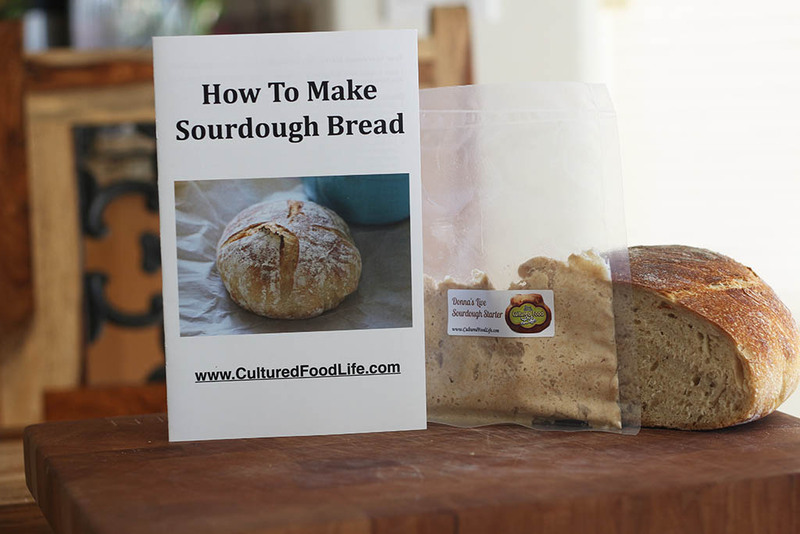 I even used it to leaven bread instead of using sourdough starter – amazing flavor! I do a variation on this, but eat the whole oats! I pour boiling water over the oats to cover, and mix and let sit until cool enough to touch. (Measurements aren’t critical, how ever much you like for a single serving). I mix about a rounded TBS or more of white miso with a bit of water, and stir into the oats, cover and sit overnight. Sometimes I will add either ground up nuts or seeds, or seed or nut butter to it also, before adding the miso. (Tahini is wonderful!) In the morning it has transformed into a magical bowl of slightly sweet, rich, creamy deliciousness that is almost yeasty and very satisfying! I live in FL so usually just eat it as is, but if you warm it, make sure not to heat it above 110-ish so you don’t kill the good organisms! I was always horrible at making or eating breakfast and this has reformed and transformed me! 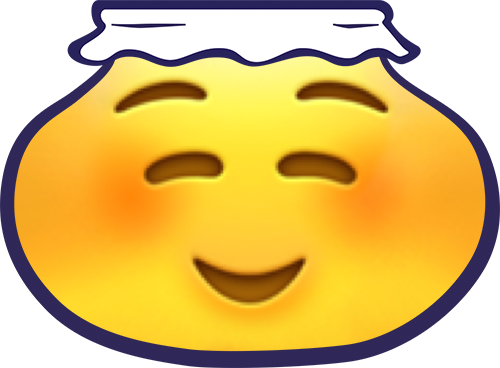 A few minutes before bed, and breakfast is waiting when I’m ready! I love it! Try hyvee health food market or natures grocer in independence. Thanks, I looked at hyvee in bl.springs but will look at the one you mentioned. 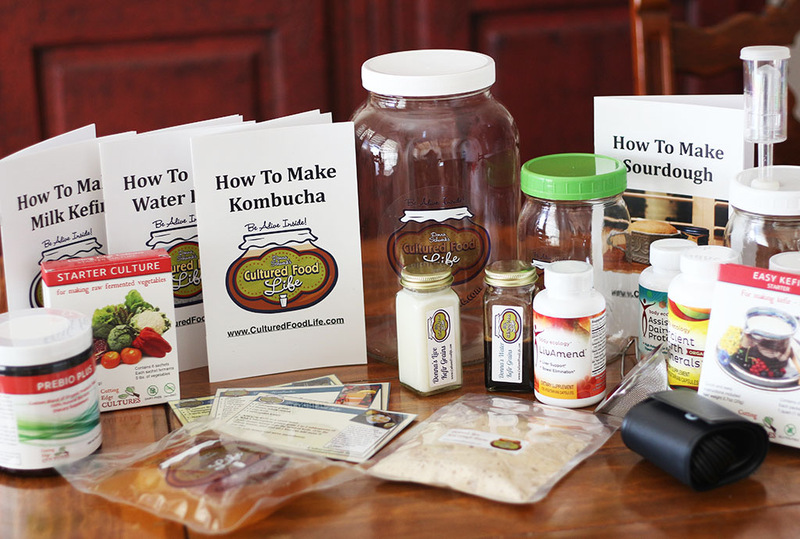 How about using bone broth instead of water? Any reason not to? I have used chicken broth and it was delicious any brith will do.